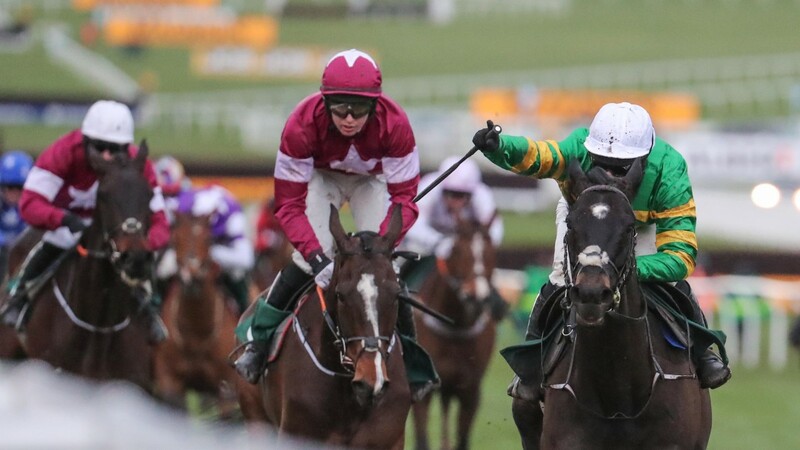 O'Brien, who landed the Boodles Juvenile Handicap Hurdle with Band Of Outlaws on Wednesday, said: "He's been running in Graded company all year and he came back to handicap company today. 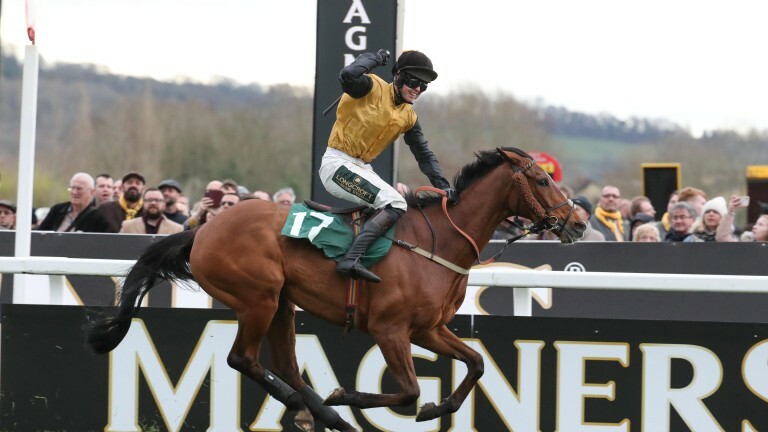 Croco Bay continued an excellent day for the bookmakers when landing the Grand Annual at 66-1. 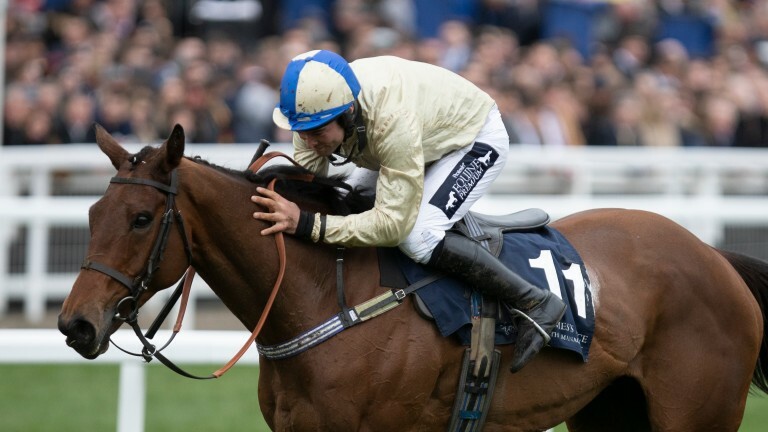 The gallant 12-year-old, who has been absent since July, tracked long-time leader Gino Trail and saw off the finishing efforts of the Tom George-trained Bun Doran. Trained by Ben Case, Croco Bay finished third in this contest in 2015, and always caught the eye with his accurate jumping under Kielan Woods. Woods said: "I'm so shellshocked. I've been dreaming of this ever since I sat on a horse and as the years go on maybe you think it's not going to happen. "I've never been stuck for words but I am now! I couldn't believe how well he was jumping – he was meeting Gino Trail on the same stride and landing ahead of him. He was really enjoying it." Magic Saint, sent off the 9-2 favourite, could only finish 10th while stablemate Brelan D'As finished third ahead of Forest Bihan. Hazel Hill obliged favourite-backers in the Foxhunter Chase when he saw off last year's Ultima runner-up Shantou Flyer. The 7-2 market leader tracked longtime leader Road To Rome and came upsides up the home straight to register a clear-cut success. The Philip Rowley-trained 11-year-old, who was registering his 15th success in his last 16 races, travelled and jumped smoothly throughout under Alex Edwards and provided Rowley with his first festival success. Despite the presence of a loose horse at the final fence, the pairwere unruffled and strode up the hill for a four-length victory. Edwards said afterwards: "It's absolutely unbelievable. I love this horse. We've only really tested him this year, we put him in a hunter chase at Warwick with a lot of weight, but he's done it well." The popular Pacha Du Polder, a dual winner of the race, was never in contention before being pulled up.